Pelenna Patchworks: New fabrics - Sweet Dreams by Red Rooster, and Nautical by Makower! New fabrics - Sweet Dreams by Red Rooster, and Nautical by Makower! 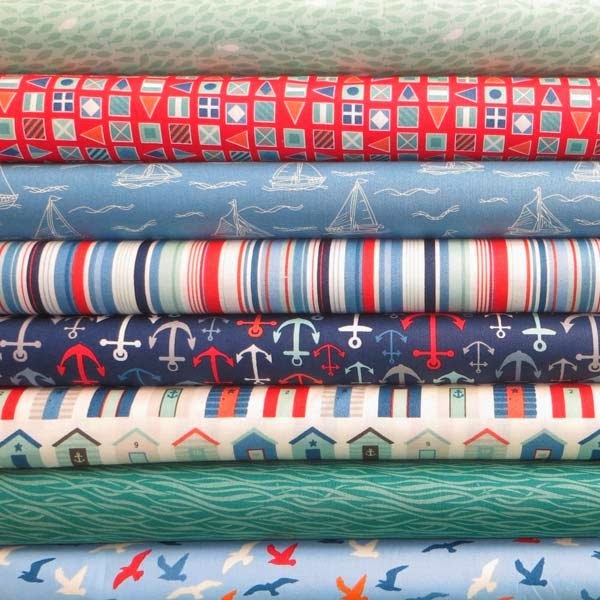 We have two new ranges in stock this week - firstly a seaside themed range from Makower, Nautical is part of the Henley Studio Collection and is a contemporary take on the traditional seaside quilt fabric group. The designers have used familiar coastal images and rendered them in a striking graphic style to give a fresh new look. Available as a stash pack or discounted fat quarter pack, these fabrics are perfect to get in the mood for Summer! 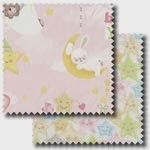 The second new range is the Sweet Dreams patchwork fabric collection from Red Rooster. Featuring teddy bears, ducklings, stars, and letters, as well as blenders such as dots and cloud prints, all in soft pinks with green and grey highlights, these fabrics are ideal for a new baby girl's nursery. Although the colors are the traditional pinks for girls, the designs have a very modern look and mix well with modern nursery decor. Again we have 8 fabrics available in a fat quarter pack, the ideal amount for a baby quilt!